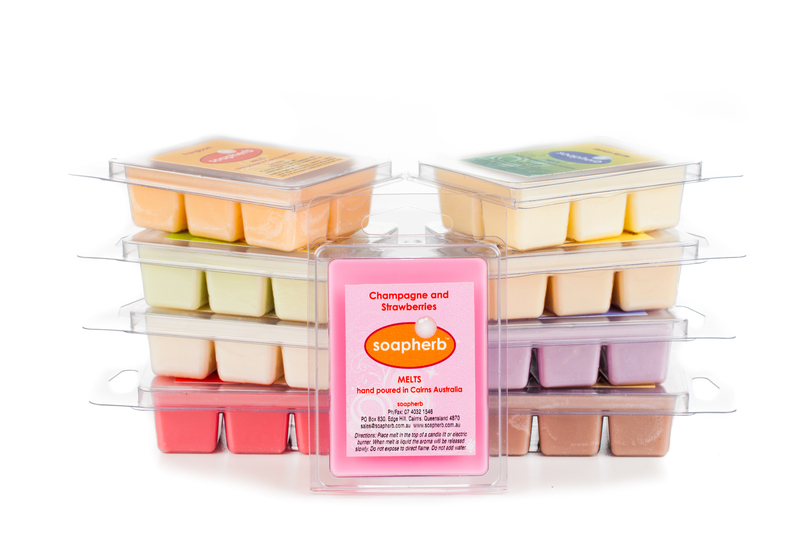 Natural soy wax melts are hand-poured into each individual clamshell mould. 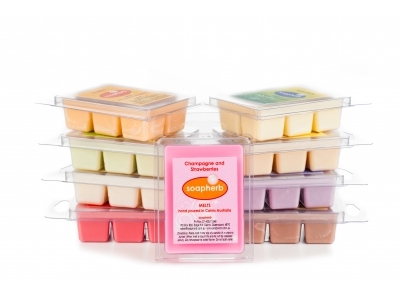 People now prefer to use natural soy wax melts instead of oil and water which can get a little messy at times. There are six cubes per clamshell mould and each cube provides approx. 10 hours of sensory enjoyment. Just break off a cube and place it in an oil burner or electric burner for hours of wonderful fragrance. To create your own individual fragrance, try using a different fragranced tealight to the melt. Store any unused melt cubes in the clamshell mould. When your fragrance is dissipated, allow melt to set, then pop out with thumb and replace. If it is difficult to remove put it in the fridge for a few moments first, this will make it easier to remove.